The NTSB recently released a proposal that calls for all US vehicles to be equipped with technology that will essentially let them talk to each other. This announcement is a vital step toward truly revolutionizing road transport with what the automotive industry is calling the ‘connected vehicle’. There are two main applications of connectivity with road vehicles – vehicle to vehicle communication (V2V) and vehicle-to-infrastructure (V2I) communication. Together, they combine to create the connected vehicle and will change the way we think about road transport in the coming years. The benefits of a connected road network cannot be overstated. With regard to safety, V2V/V2I technology can help drivers by augmenting their awareness of their surroundings. The technology can not only inform drivers of any impending hazards, but can also take measures to prevent accidents happening in the first place. Poor visibility, blind spots, driver distraction and even fatigue could all be compensated for with a V2V/V2I system. In fact, a USDOT report recently estimated that a V2V/V2I system could potentially address 81% of all-vehicle crashes, translating into a considerable reduction of vehicle-related injuries and deaths. In terms of mobility, V2V/V2I technology can reduce traffic congestion through a number of means. For one, having vehicles communicate to a central hub gives transportation agencies true real-time traffic data, enabling them to better manage their facilities to maximize efficiency and minimize congestion. A V2V/V2I system could also enable vehicles to work together by driving much closer on the freeway and platooning with other vehicles heading to the same destination. As a result, roads gain more capacity by fitting more vehicles into the same amount of space. 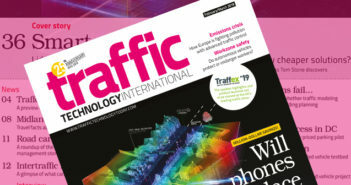 Although we’re still a long way from realizing a road transport system of connected vehicles, there are technologies today that attempt to bridge the gap between existing and V2V/V2I technologies. Adaptive cruise control can track nearby vehicles by using radar and adjust its speed accordingly. Lane departure warning systems seen in some luxury cars can notify you if your car is drifting out of its lane. Both of these high-tech features give drivers a greater awareness of their surroundings. The next step toward a connected transport system is the development of true V2V/V2I technology. The underlying technology exists, but it’s still very much in its early stages. The University of Michigan Transportation Research Institute is currently running a connected vehicle pilot program in its home state. The experiment, involving nearly 3,000 vehicles equipped with various V2V/V2I technologies, seeks to collect real-world data in a concentrated connected vehicle environment. Using the results of the program, NHTSA is expected to issue a ruling later this year on whether or not V2V/V2I devices should be required in all vehicles in the future. A few issues still need to be addressed before a connected-vehicle transport system can be fully realized. All road vehicles need to be equipped with the technology, laws need to be written at several levels, and the question of liability with automated systems needs to be resolved. However, there’s no doubt in my mind that a connected vehicle system will be part of our future, where vehicles and the roads they travel on will be linked in ways we’ve never seen before. The real potential for safer and more efficient roads is too great for us to pass up.